© Kris Killman. All rights reserved. 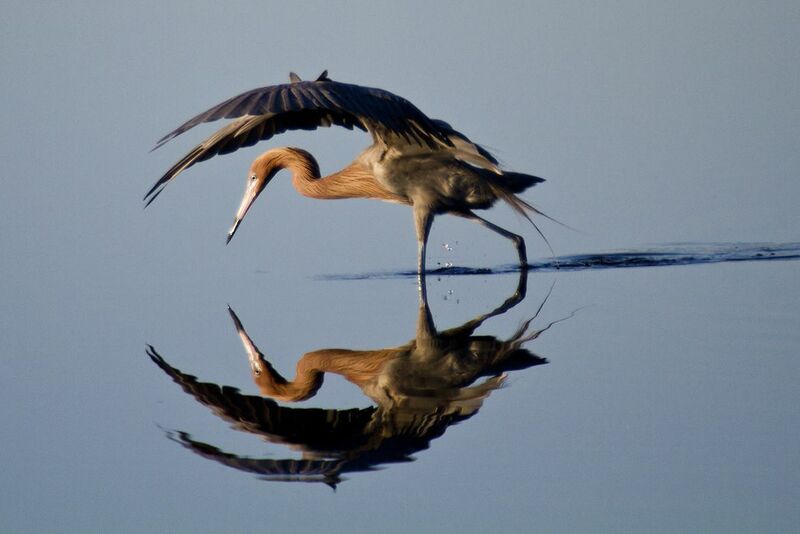 I've photographed the Reddish Egret for several years but catching it in calm water in good light was a bonus. This bird is doing one of its many behaviors called "hooding" It does this to knock glare off the water in order to see its prey better. It will hold this pose for several seconds. Then take off zig zagging all over the place chasing fish. It's a real pleasure to photograph this bird.